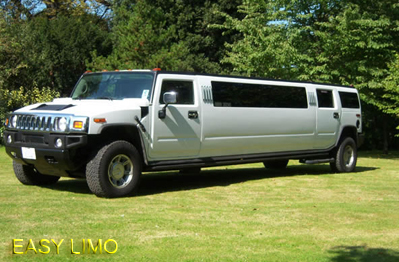 The NEW 2008 Hummer Limousine Comes available in White. This Limousine is the top of the line in all of London. 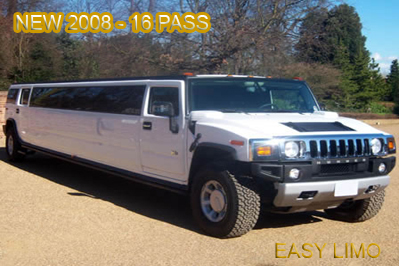 This hummer limousine is a sure head turner in London. Take it to the clubs in London and live like the stars do. How about driving down to the Mayfair clubs scene in a this vehicle! we go to West End Clubs, or Key West parties, don't limit your self..... jump in and let us take you for the ride of your life. Hummer Limousine Service is often used for a ride. 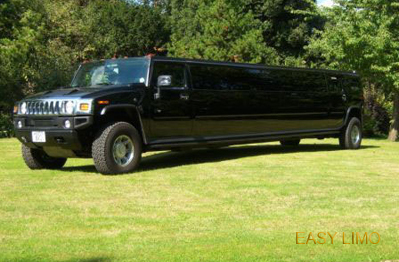 There is no car service like EASY LIMO™. These are perfect for Weddings, Proms, Anniversaries, Transportation to Concerts, Football games and sporting events. We also recommend using the Hummer for Hen and Stag Parties, Night out on the City, Transportation to Hotels, Hummer H2 limo rental Travel in style with Hummer limo services. 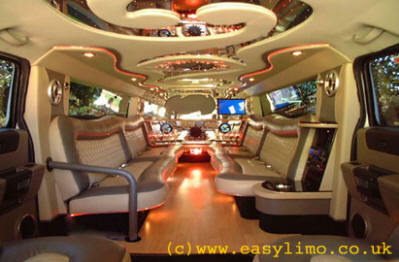 If this is not your style don't forget about our list of Navigator's limousines.